The Excellence provides superb grip, handling and comfort especially in wet conditions. The Excellence gives you shorter breaking distances in wet weather due to the tyre featuring a new compound polymer that sticks to the road. When driving at motorway speeds you can travel at ease knowing that your tyres have the best handling. Shoulder stabilisers make sure the tyre has a constant firm grip of the road. The pressure is distributed evenly across the section of the tyre in contact with the road for better handling and even tread wear. 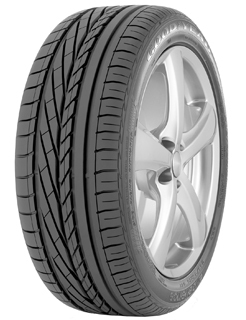 The Excellence has an optimised tread pattern that reduces the tyres noise emission.